Planning your social media content can feel overwhelming and chaotic—there's so much to do and so many ways to do it. You need an place that makes it easy to create weeks worth of content that's on brand for your business, creative, and fun—and maybe enjoy a mimosa, to boot! Social Slay Day is all of that, plus more. Go home with cute photos, a branding portrait, expert knowledge and new connections. —Take photos at multiple flatlay stations with a variety of themes, moods, aesthetics + colors—completely customizable for your brand. Get plenty of support from the experts on creating engaging photos for your brand and how to use them on social media. Branding Photographer Courtney Paige Ray will help you translate your brand into attractive, engaging photos. Courtney Paige Ray is a photojournalist for creative entrepreneurs. She was an investigative journalist and magazine editor for 10 years before starting her own business as a branding photographer 5 years ago. 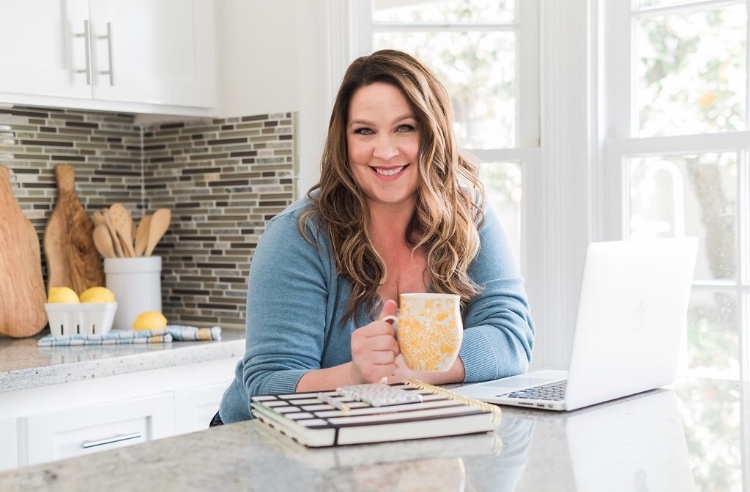 She loves bringing your story to life through photos and helping creative entrepreneurs connect with their audience through a brand story. Her mission is to bring the art of storytelling to brands. Social Media Marketing Expert Shayna Marks will help you leverage your photos to market your brand on social media. 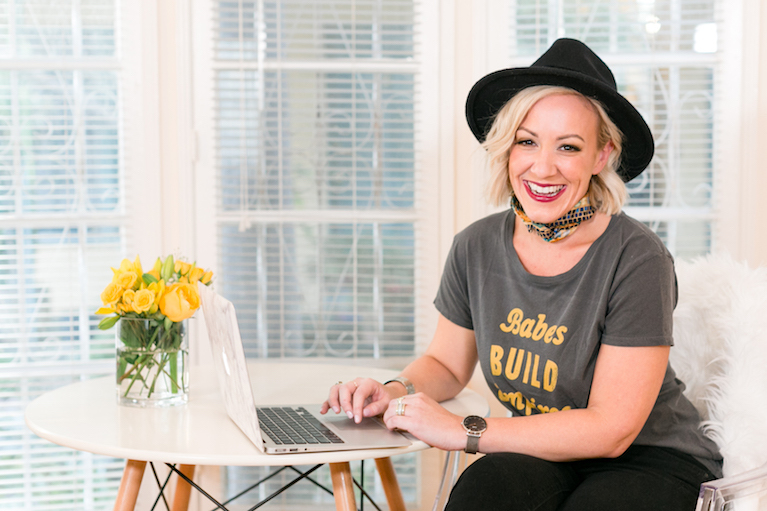 Prior to founding Citrine Marketing, Shayna spent the better part of a decade creating engaging and educational content on behalf of influential brands on digital mediums. Citrine Marketing takes a multi-faceted approach to social media and content marketing for brilliant brand storytelling. They build and execute strategy and tactics that help your brand achieve your goals, tell your story and engage your audience. Product Collaboration Expert Emily Yarush will help you learn which products work best in your flatlays and how to cross-promote with complementary brands. Emily is the creator and heart behind The Giving Crate, she finds so much happiness in seeking out those unique finds for friends and loved ones. Along with her love for curating special gifts, is her love and admiration for the maker community. She knew she wanted to combine makers, their stories, and their beautiful products into meaningful gifts, easily accessible for others to enjoy. The Giving Crate is a way of bringing her passions together in a larger way and the opportunity to share that joy with you and your loved ones. You've seen them all over Instagram, Facebook, Pinterest, websites, blogs, etc.—any place where you need photos that represent your business and what you do in your business, there's a flatlay that's shows it off. Flatlays are made of expertly arranged products and other elements, like flowers and food, to tell the story of what a brand does. For example, are you a calligrapher? Then show off your lettering abilities on beautfiul stationary, arranged with flowers and other items that complement your style. Anything you want photographed, including yourself! Bring your businesses products and your smiling face, and you'll go home with photos of all of it! If your brand doesn't have produts, that's OK! We have tons of cute—and very Insta-worthy—produts to use so you can personalize the look of your photos to your business. Feastly in Venice has plenty of street parking, so it should be easy for you to get to the event. There are no refunds, but tickets are transferrable to another person if you can't make it. Email Courtney at courtpaigeray@gmail.com with questions. Yes, I want to go!